See the worlds best facilities and learn from the best operators in the business! 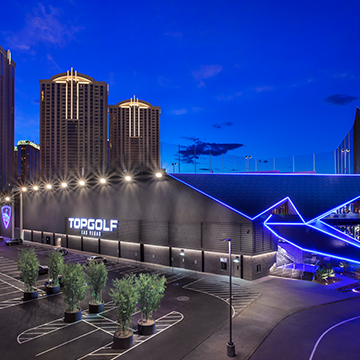 Immerse yourself deep into the trenches of the most successful venues in Las Vegas and obtain insider secrets through Bootcamps, Trainings and Tours! Not only will you learn new skills and grow professionally, you will also have the opportunity to network with recognized industry experts. Transportation is provided for all offsite trainings and tours! Space is limited and separate registration is required. Step into JEWEL and find yourself apart from any world you’ve ever known. The heart of JEWEL is a rhythmically shining dance floor, complemented by ribbons of LED lighting overhead. Nightscapes adorn the wall behind the DJ, and the upper tier beckons with an elevated view of the city’s most sought-after scene. Led by Orlando Oquendo, Executive Director of Hakkasan Nightlife Operations, walk through this half day in depth educational experience that provides you with key insider processes such as cocktail sequence of service, VIP client hosting, promotion & marketing processes, bar and beverage operations, security and much more. This course is only offered to Nightclub & Bar Attendees and has a limited number of seats available. Don’t miss out. Space is limited! Transportation is provided and buses depart 15 minutes before start time from the Las Vegas Convention Center. PREMIER NIGHTLIFE TOUR AT WYNN SOLD OUT! Learn from the World's Biggest Operator! Wynn Nightlife Tour I: 11:00am-2:00pm SOLD OUT! 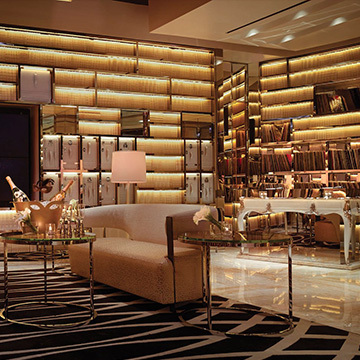 Wynn Nightlife Tour II: 2:00pm-5:00pm SOLD OUT! Learn form the best! Space is limited. Transportation is provided and buses depart 15 minutes before start time from the Las Vegas Convention Center. CAESARS PALACE BACK OF HOUSE TOUR SOLD OUT! Training I: 10:00am-1:00pm SOLD OUT! 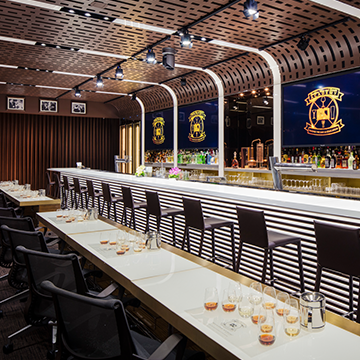 Learn and explore the latest in mixology trends in the world’s most advanced beverage training facility, The Academy Room, at Southern Glazer’s Wine & Spirits. *Get an insider's look at The Academy Room. Keep scrolling to watch a video to get a sneak peek inside this state-of-the-art training facility and tasting room. Join Executive Director of Spirits Education for Southern Glazer’s Spirits, Brian Van Flandern. When craft cocktails are properly executed, they reduce liquor costs, increase check averages, generate publicity for your establishment and taste delicious. With so much competition, it is often difficult to stand out from the crowd. Utilizing the fundamental principles of flavor-profiling, learned from Chef Thomas Keller while opening Per Se Restaurant as the Head Barmen in 2004, Brian guides the class through a simple, no-nonsense methodology for innovating new recipes that are guaranteed to taste delicious, be cost effective and increase profit, this is an interactive seminar. Join Executive Director of Spirits Education for Southern Glazer’s Spirits, Brian Van Flandern and Whiskey Guru Max Solano as they guide you through the wonderful world of whisky/whiskey. Learn the differences between the various countries of origin, flavor profiles and styles of this most magnificent of spirits. Called ‘America’s Top Mixologist’ by The Food Network, Brian will conduct a tasting of whiskies/whiskies from various geographies in this highly informative and tasty master class. Space is limited! Transportation is provided and buses depart 30 minutes before start time from the Las Vegas Convention Center. 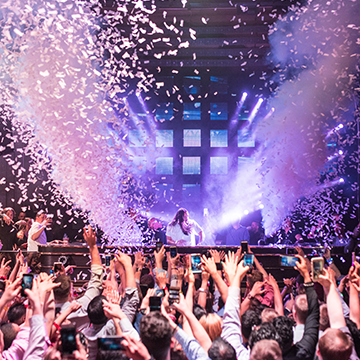 Get a preview of the biggest day/nightclub in Las Vegas at the Palms Casino Resort! 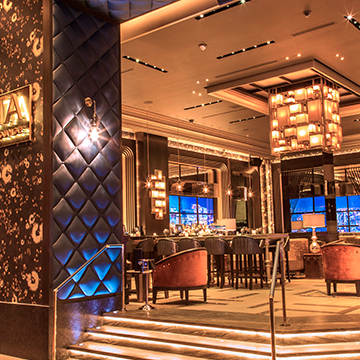 Join Ronn Nicolli, Senior Vice President of Creative Strategy, for Palms Casino Resort, as he and his team present the newest day/nightclub in Las Vegas. 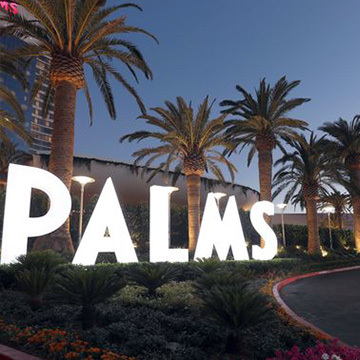 It helms the latest and greatest in technology, talent, and architecture and is part of the Palms Casino Resort newest renovations. Ronn's presentation will highlight the newest features and experiences consumers are looking for. After this educational session, there will be a live venue tour!